Should Seiuli ‘The Rock’ lead the push for a Pacific Island Super Rugby team? It’s a wise idea to get Seiuli to franchise this campaign to find a better spot for our Pacific rugby team in the World. Our Pacific rugby team was one of the best I know that have competed around the world and it would be a waste of talent here in the Pacific if we don’t get Seiuli to franchise this campaign if that’s the plan. Another nice thing about it is that he is a Samoan and it can be a great opportunity to promote the team to the world through Dwayne Johnson. In my own opinion, I agree with it because if The Rock comes and leads the Pacific rugby team we’re trying to promote here then he is the best guy for it. As we all know he’s very famous, all Fijians, all Tongans and Samoans know him so I don’t see any reasons why he shouldn’t be the best guy for the campaign and to improve our team. Everyone looks at him as their model and their best actor that’s a reason for them to support this Pacific team. Most importantly, he’s also got the talent. He can even come and coach our team for all I know. I totally agree that Dwayne Johnson should champion the team because we all know he is the only proud Samoan or the Polynesian who’s on top of the world with the Europeans so he would be the best person to franchise the campaign. He’s got all the experiences needed. Plus, he is Samoan so I know as a Samoan that he would do anything to help out his people, which can be a huge benefit for the campaign and the Pacific rugby team. To me I think I totally agree with the plan that The Rock Johnson should lead this campaign. First of all, The Rock is a sportsman plus he’s really popular. He is friends with everyone and using him as one of the ways that social media can be channelled to and across the world, I know he is the best person for this campaign. I also know that we can have a far reach with Dwayne Johnson because everybody knows him and everybody loves him. 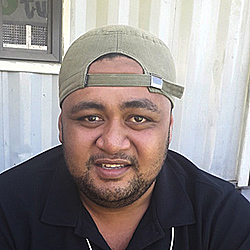 I am a huge fan of rugby ever since I was young and doing anything to improve and promote rugby is something I’d pretty much agree on letting Seiuli franchise and champion the Pacific Rugby team would be very wise because if we look into his history, he is very much qualified to even coach the team. He is the best person to champion the Pacific rugby team in the future. I love the idea of the campaign. We all know that The Rock is also from Samoa. I know that he can be of huge help to the goal of the Pacific rugby Union which is to unite all teams from various island nations here in the Pacific. He can also be of help the differences that the Pacific teams’ been having like the gap between Tonga and Samoa and other island nations. I not only want him to just franchise the campaign but I also want him to even come and contribute more like uniting all the Pacific players because he has all the experiences as a player as well.